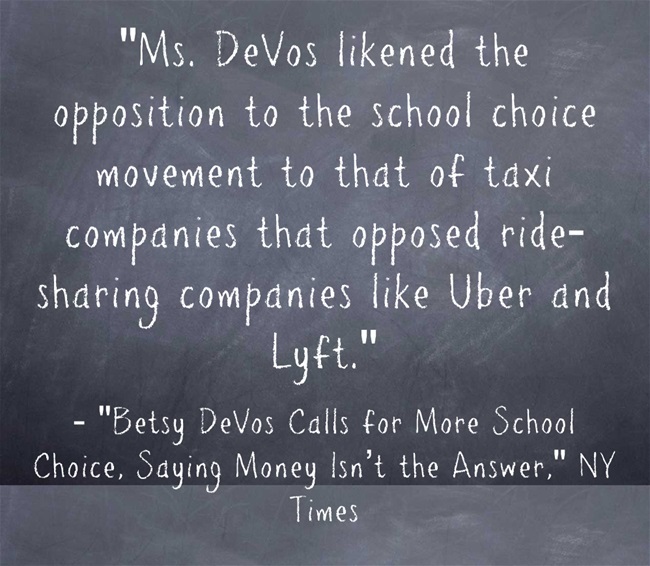 Though I have nothing against cab drivers, I don’t think comparing public schools to taxis and school choice to Uber is a particularly effective argument that I’d be making – now or ever…. Read more at Betsy DeVos Calls for More School Choice, Saying Money Isn’t the Answer. I’m adding this info to The Best Resources For Learning About Our New U.S. Secretary of Education. You might also be interested in The Best Sites For Learning That Money Does Matter For Schools.